Utilising transparent canvases so the camera of Claude Renoir could directly capture an artwork's creation, Picasso created 20 artworks for the film. At first, these are simple sketches in marker, but each grows in complexity until the final reel, when The Mystery of Picasso switches to a CinemaScope ratio and bursts into colour. 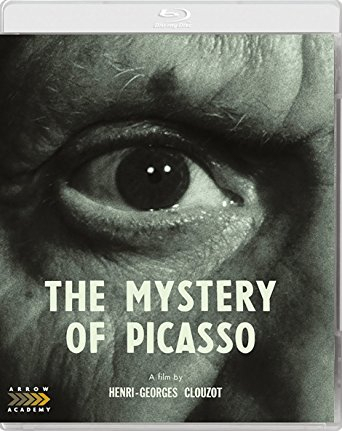 One of the greatest documentary portraits of an artist of work, this release is accompanied by two other films of Picasso: Paul Haesaerts BAFTA-winning A Visit to Picasso from 1949 and a charming home movie by fellow artist Man Ray.